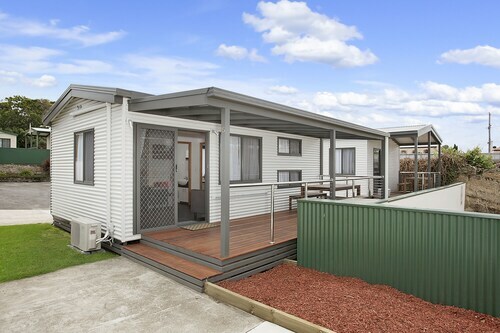 On highway in to Warrnambool and close to shopping centres and tourist attractions. 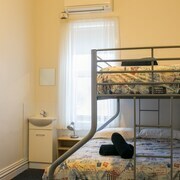 It was in a comfortable cabin with everything we needed and the park was quiet and convenient to everything in Warrnambool. Loved the area right on the coast of warrambol i would definitely return again especially in summer beach near by loved it. 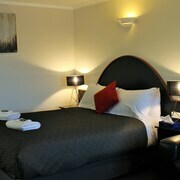 We had a wonderful time in Warrnambool and a great experience staying at Quality Deep Blue. A last minute decision to stay in Warranambool and this was great place to do it. New go to Warrnambool for motocross and it is only a ten minute drive to track. The caretakers gave us vaulable information about the town and surrounding areas, were extremely friendly, the room was fantastic and the bathroom was very spacious, excellent hot water! 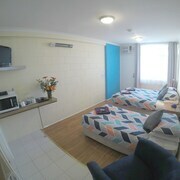 Great location and an easy walk to town and the local restaurants. Which hotels are closest to the Warrnambool airport? Where to stay near top Warrnambool attractions? 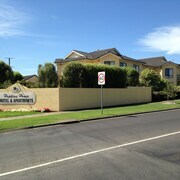 What kind of hotels are in Warrnambool? Which hotel chains are in Warrnambool? Travelers to Warrnambool give high marks for the relaxing spas and seaside. Tourists can also enjoy the city's parks and golf courses. 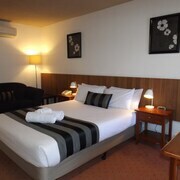 In Warrnambool, there are 47 hotels and other accommodations to choose from. The city's natural setting is picturesque, including the seaside and these places to visit: Warrnambool Botanical Gardens, Lake Pertobe Adventure Playground, and Warrnambool Beach. Top activities include whale watching and taking adventure tours, while Warrnambool Golf Club is one place to visit. A couple of additional sights to add to your agenda are Warrnambool Art Gallery and Flagstaff Hill Maritime Village. Warrnambool Cbd Townhouses - This 4-star apartment features free parking, a spa tub, and laundry facilities. 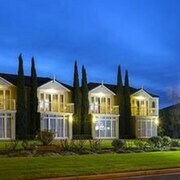 It's a favorite with Expedia travelers for its convenient parking and central location. Farmhouse Flat Pet Friendly - With a stay at this 3.5-star hotel, guests can enjoy access to free parking and a library, along with an in-room kitchen. 104 on Merri Apartments - With a stay at this 4-star apartment, guests can enjoy access to free parking and a spa tub, along with an in-room kitchen. Expedia customers like its beach locale and helpful staff. To venture out into the surrounding area, ride one of the trains from Warrnambool Station or Sherwood Park Station. Warrnambool might not have as many public transit options to choose from so consider a car rental to maximize your time. Taking its name from indigenous inhabitants’ word for “land between two rivers,” the onetime port city of Warrnambool is located on Victoria’s lush, south-western coast. The local wildlife is a big attraction here, as are the many inviting outdoor activities. Catch a glimpse of the southern right whale off the coast of nearby Logan’s Beach, or take a trip to Middle Island and spend some time amid a flourishing penguin population. Looking for even more excitement? Journey with the young’uns to Lake Pertobe Adventure Playground, or go bushwalking around the Bay of Islands Coastal Park. By staying in a Warrnambool hotel, these attractions and many more are just minutes away. 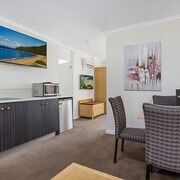 No matter if your tastes tend to be more frugal or extravagant, you won’t have any problem finding a place to stay during your time in this corner of Australia. 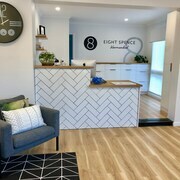 There’s a place to satisfy any set of desires, from modest Warrnambool motels to top-of-the-line Warrnambool luxury accommodation. 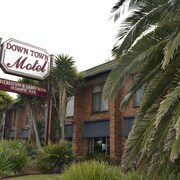 And since most hotels are located just off Princes Highway, you’ll almost certainly find yourself centrally located. Many visitors from outside Victoria opt to fly into Warrnambool Airport, located just 11 km northwest of city centre. The airport offers scenic tours as well as trips to Melbourne Essendon Airport. And upon arrival, bus and rail services to Melbourne and Geelong are readily available to those looking for a ride, while the V/Line train transports passengers between Warrnambool and Sherwood Park every day of the week. Interested in what the weather’s like in Warrnambool? Oceanic temperate climate results in cool summers and warmish winters, and visitors can expect slightly more rain here in comparison to other areas of Victoria. 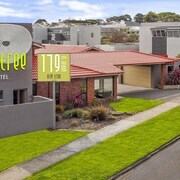 If you’re ready to discover what makes Warrnambool so wonderful, count on Expedia.com.au to present you with the internet’s best selection of lodging options in the area. 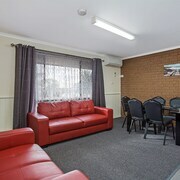 From economy motels to high-class hotels in Warrnambool, we offer you an extensive assortment of accommodation to choose from. See for yourself how easy it is to book the holiday of your dreams when you start searching our site today! 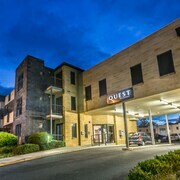 What are the most popular hotels in Warrnambool? 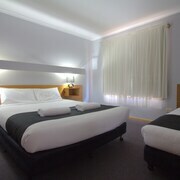 Are there hotels in cities near Warrnambool? 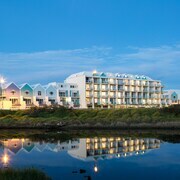 Explore Warrnambool with Expedia.com.au’s Travel Guides to find the best flights, cars, holiday packages and more!